A globally respected gallerist and one of the leading forces and taste makers within the collectible design market, Gabrielle Ammann formed ammann//gallery in Cologne in 2006. 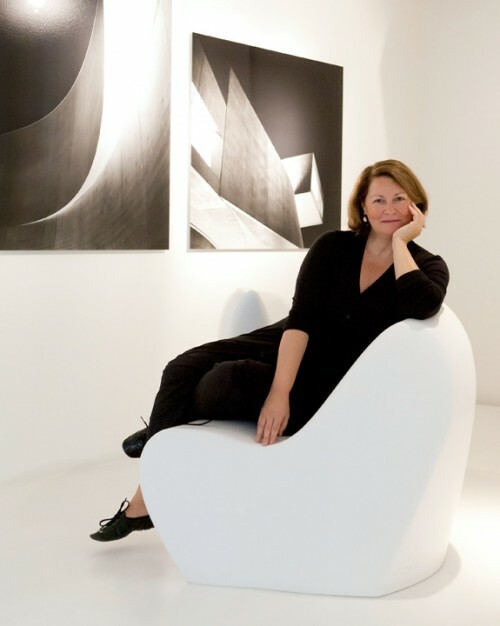 Known for her unique curatorial approach, she cultivates a cutting-edge program devoted to innovation and connoisseurship in the fields of fine art, design and architecture. Since the late 80’s, Ammann began working with now legendary designers such as Studio Alchimia and Ron Arad and conceptual artist Rolf Sachs. Promoting and advancing their experimental work, she grew and built new markets and provided platforms throughout Europe for them and other artists, designers and architects to push the boundaries between their fields. Since its inception, ammann//gallery has been a space dedicated to avant-garde exhibitions broadening its collection introducing Asian and Latin American art and design as well as architectural photography. Among the many important exhibitions presented by the gallery have been Zaha Hadid: Selected Works, an ambitious solo show that included Hadid’s architecture and installations, Wang Jin’s paintings, furniture and photography and most recently, important works by Swiss photographer and Julius Shulman Award Winner Hélene Binet, the South Korean and Belgian duo Wolfs + Jung, installations by Florian Borkenghagen, Satyendra Pakhalé, Nucleo and Rolf Sachs. Ammann has been fundamental in materializing exhibitions such as the critically acclaimed Rolf Sachs: Typisch Deutsch? at the MAKK in Cologne during Spring 2014. And has contributed as an author to both Crossing China, Land of the Rising Art Scene and the exhibition catalogue of Rolf Sachs: Typisch Deutsch. Fundamental works from the gallery´s collection have been placed in important private collections as well as in cultural institutions around the world including: Victoria and Albert Museum, London; Stedelijk Museum, Amsterdam; die Neue Sammlung - The International Design Museum, Munich; MAKK Museum für Angewandte Kunst, Cologne; Museum of Modern Art, New York; Beaubourg, Paris; and Triennale Design Museum, Milan. With a renowned expertise, ammann//gallery offers a range of services including acquisitions, collection management, curatorial services and advisory. Working directly with its leading artists and designers, the gallery presents the opportunity to commission unique works in close collaboration with an important roster of architects and interior designers. After more than twenty years of being a major player in the field of art and design, Gabrielle Ammann launched in 2017 a new platform called ammann//projects. Transforming the classical gallery format into a dynamic and changing exhibition space, it aims to deepen the dialogue between the disciplines and reinforce research and creativity within the gallery. The reach of this new format expands the physical space consolidating collaborations with other galleries and institutions around the world, reflecting on its past in view of its future development.